Fun with my iPad Pro! 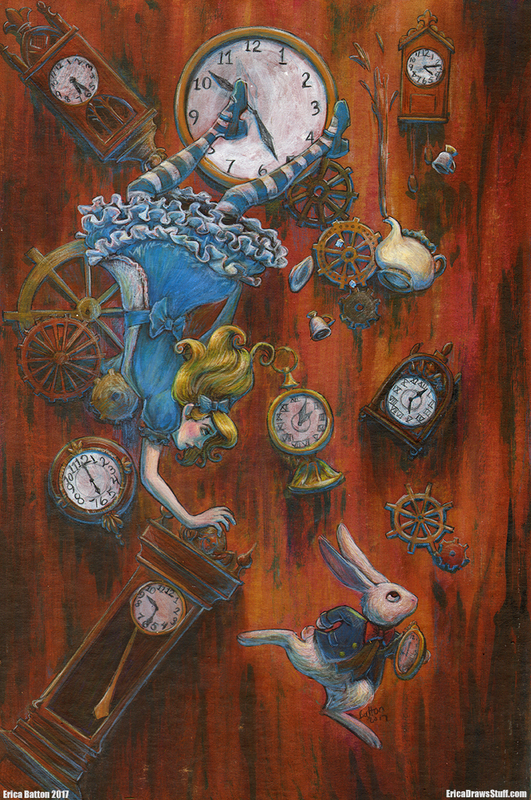 The Alice In Wonderland painting is finished! Little Apple Comic Expo Print! I will be at Little Apple Comic Expo on March 18 in Manhattan, Kansas. If you’re in central Kansas around that time, you should totally come and pick up this exclusive print I did for them! Oh, and say hi to some people. They’re a pretty cool bunch. Support it now on Patreon! Here’s the finished inked version of my Stag painting. I plan on moving into color tomorrow. I also started up a Patreon! Donations are per finished artwork (I don’t charge for sketches or works in progress) and you get access to exclusive content. If you donate $5 or more, you get the high resolution line art of all of my paintings (like this one) to color yourself! You can check out my Patreon page here, or click on the banner at the bottom of the post. 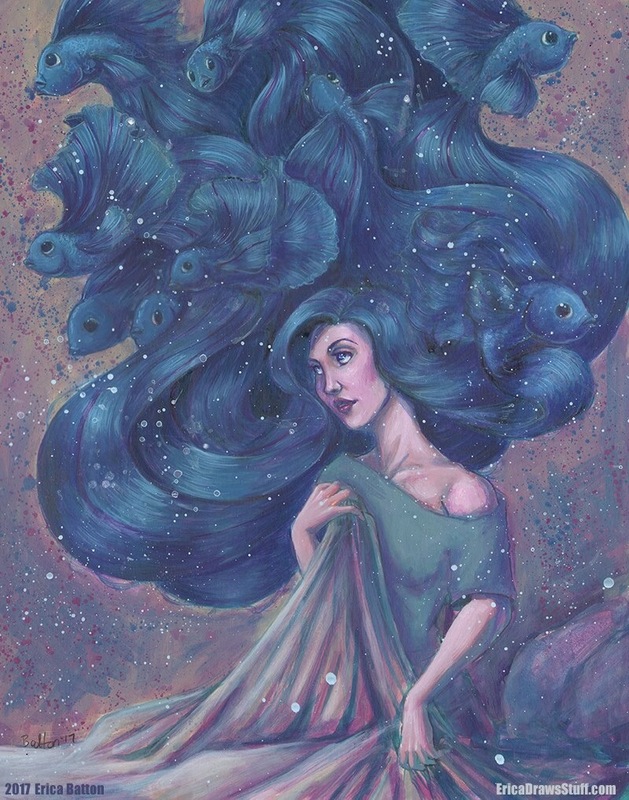 12″ x 18″ acrylic ink on bristol. Soon to be available as a print.